DO THE OPPOSITE OF WHAT YOUR INSTINCTS TELL YOU! READ ONLY IF YOU WATCHED THE MOVIE!! Excitement over a movie hasn’t hit me for a while. As a long time fan of Dragon Ball, I had a hard time containing my excitement waiting for the English dub release of Dragon Ball Super: Broly. And let me tell you, this movie does NOT disappoint! As expected, Dragon Ball Super: Broly rewrites the history with a brand-new story the tells the history of the Saiyan race and Frieza. Put the old story about Broly in a space pod and launch that thing because it is over. This new story written by Akira Toriyama makes far better sense. 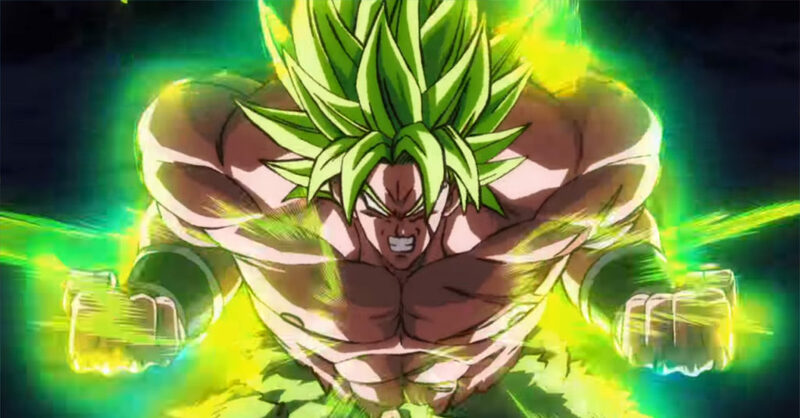 In the original storyline for Dragonball Z: Broly the Legendary Super Saiyan, Broly’s rivalry with Goku was born from when they were infants and Goku made him cry. Yup, that’s it. That’s how it started. Broly and SSB Goku battle is one of the most intense fights ever in the franchise. Now, let’s get to the nitty-gritty of this movie. The Dragon Ball series has been known for its intense battles. Dragon Ball Super: Broly takes that and cranks it pass 11! From start to finish, the fight between Vegeta, Goku and Broly is explosive. The action is up close and in your face – literally. There is a moment when to camera switches to you the fight from both Goku and then Broly’s perspectives. There were many moments when my inner fanboy could not be contained, especially seeing Vegeta use his Super Saiyan God form after all this time. This is the most beautifully animated, and most destructive, fight I have ever seen in a Dragon Ball movie. This was more intense than the finale of the Tournament of Power with Goku and Frieza facing off against the incredibly powerful Jiren. There are moments during the fight where it transitions from 2D to 3D. While not incredibly seamless, the change on perspective does nothing to dampen this. 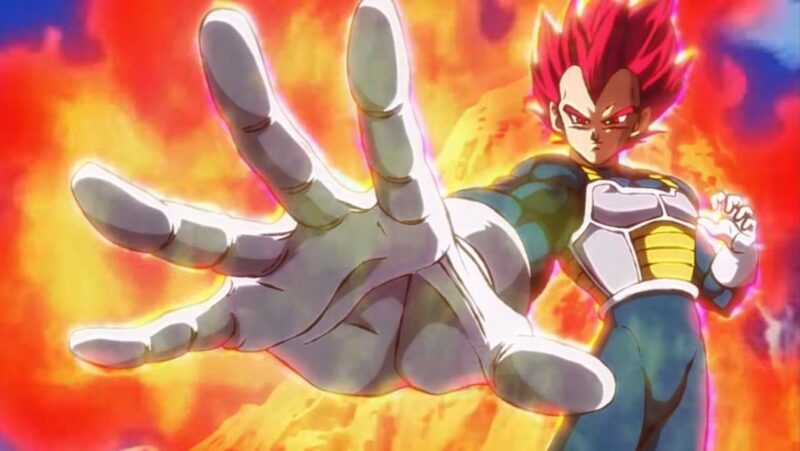 At long last, Vegeta finally reveals his Super Saiyan God form. As it has already been mentioned, Dragon Ball Super: Broly rewrites the history. The original Broly films aren’t the only ones that can be tossed to the wind. The films that succeed them can also be thrown in the fire. During their battle against Broly who continues to grow stronger the more they fight him, Goku suggests to Vegeta that they perform the Fusion Dance and merge into one being to stop him. Vegeta has little knowledge of the dance and is shocked when he sees Goku and Piccolo (reluctantly) perform it. This means that Vegeta was never taught the dance, thus erasing the events of “Dragonball Z: Fusion Reborn” in which Goku and Vegeta originally fuse using the dance. Bulma even comments when she sees the fused version of Goku and Vegeta for the first time, and Piccolo is curious of their name. It makes sense since Gogeta does not appear again until Dragonball GT. However, GT is non-canon just like the Dragonball Z movies with the exceptions of “Cooler’s Revenge”, “Battle of the Gods” and “Resurrection F” since the events in those films do coincide with the main storyline. His appearance in the film now brings Gogeta into the main stream storyline along with Broly. Akira Toriyama created the new design for Broly as well as his backstory. 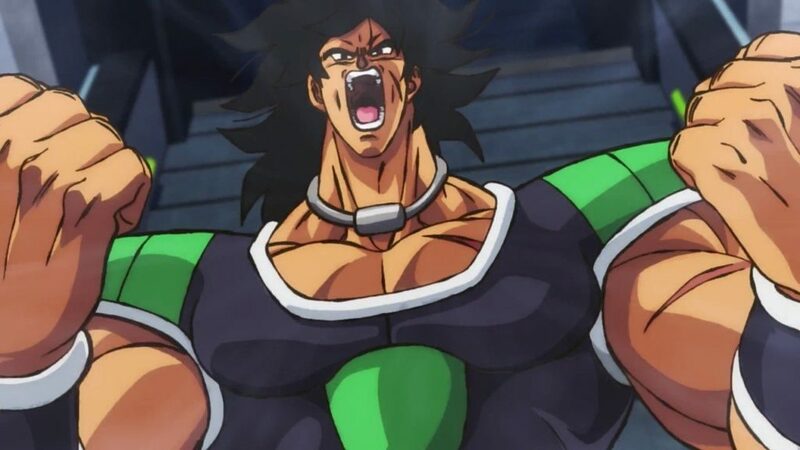 Broly’s base form is more muscular than his original and he is more talkative. True, he has only a few lines, but he says a lot more than he did in the “Broly – The Legendary Super Saiyan” film. The back story created for him is interesting, making his fight against Vegeta and Goku more justifiable and showing Broly’s innocence as we get a deeper look into his childhood. 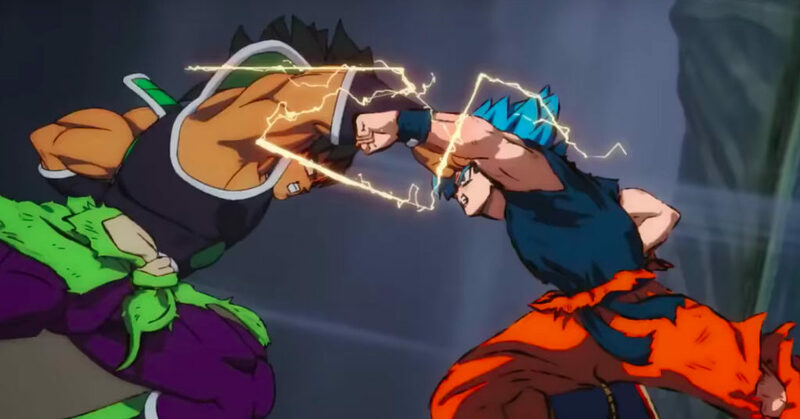 Dragon Ball Super: Broly puts the Dragon Ball movie franchise back on top. The new storyline and characters help set up for the follow up series that will take place after the end of Dragon Ball Super. Given the epithetical end of the film, we could see more of Broly should he appear in the series. This is a must-see for all anime fans. Goku has a new bag of tricks with his GOd form. He is able to use his Ki to stop Broly in his tracks. The Cold Force arrives on Planet Vegeta where King Cold announces his retirement, thus leaving his son Frieza in charge. Broly’s power only continues to grow the longer he fights. Gogeta makes his return in the film. In turn, the character could be canon. Once again, Frieza is at the helm of the fated battle wiht Broly. Gine, the mother of Goku, is finally revealed. Taking a page from “Superman”, she and Bardock send their son off world ahead of Planet Vegeta’s destruction.